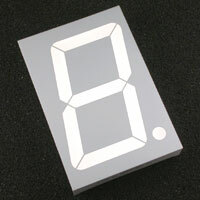 2.3" 7 Segment LED Display. Common anode. Super-Red. Excellent visibility. Low current operation. Display has gray face with white segments.